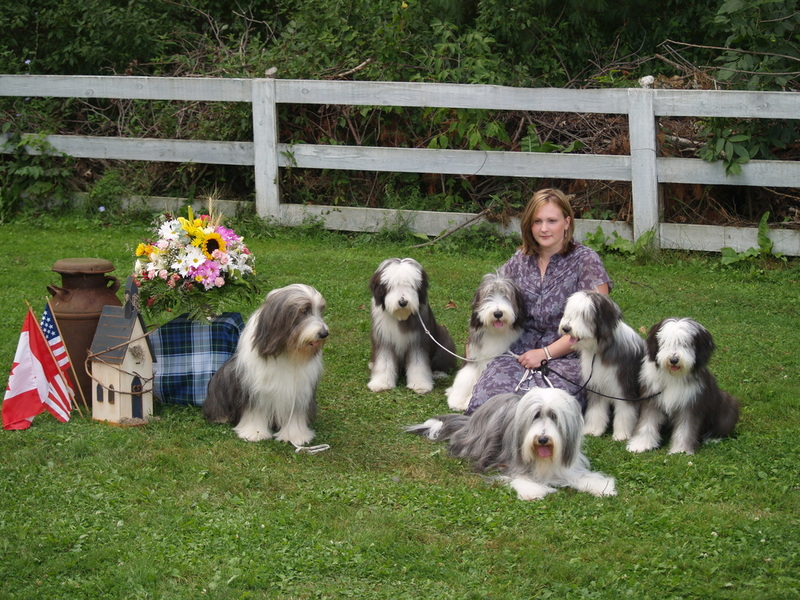 When we asked Wendy Smith for a puppy, we left it totally in her hands. 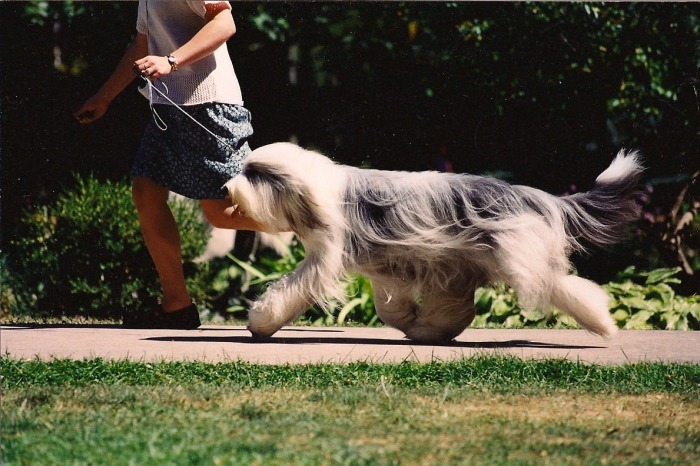 We would take a boy or girl, only asked that it be the best she had. Rhiannon certainly turned out to be all that. 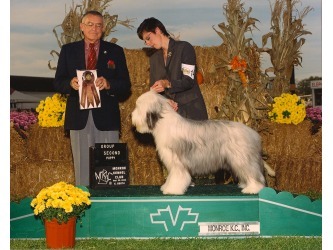 Her first year in the show ring was the stuff dreams are made of! 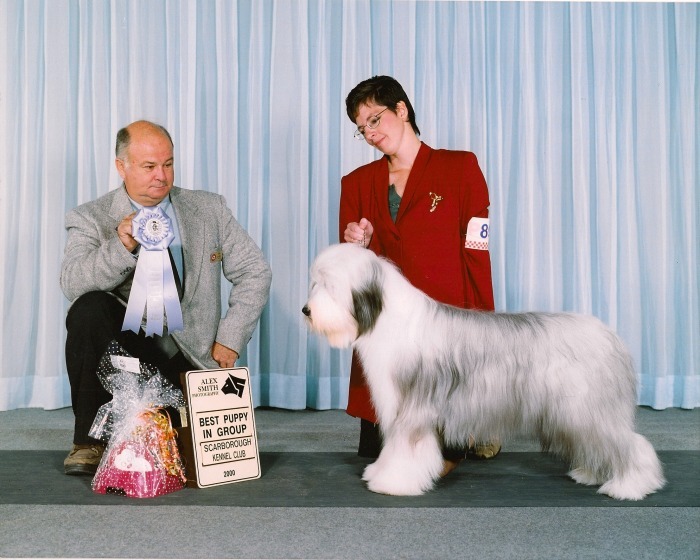 She started out with a Best Puppy in Show and Best in Sweeps at the BCCC Specialty, then went on to get 3 more Best Puppy in Sweeps. 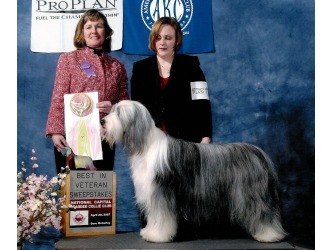 She finished her AKC Championship before her first birthday and her Canadian CH shortly afterward. 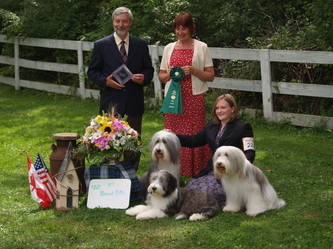 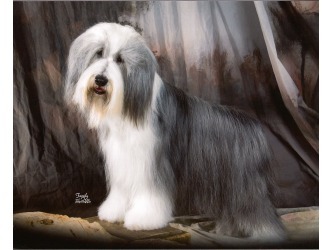 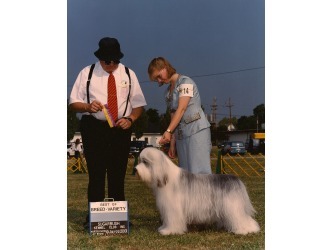 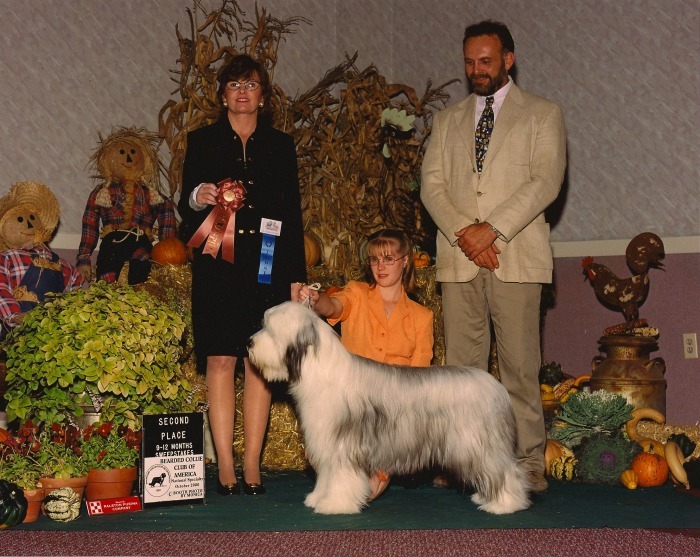 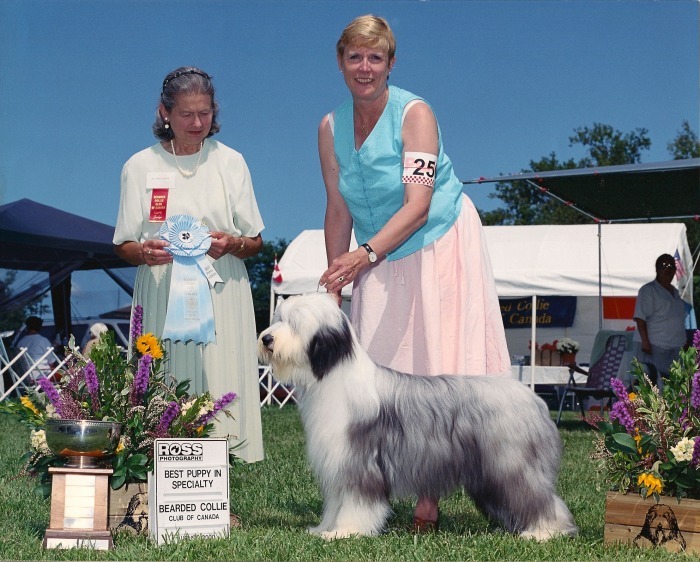 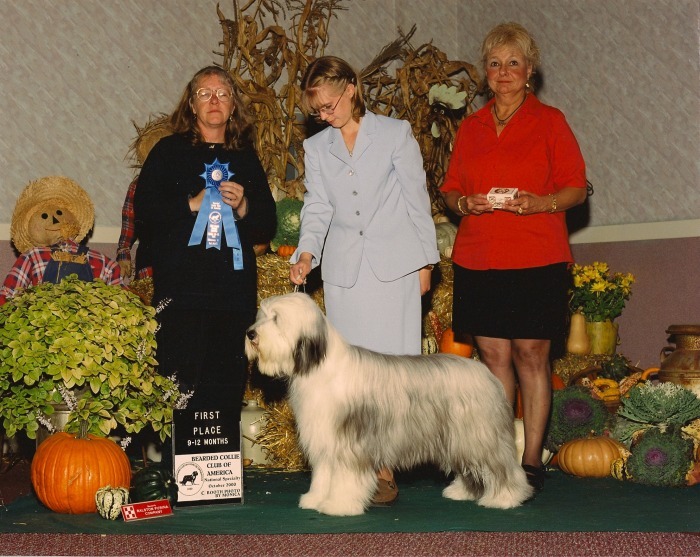 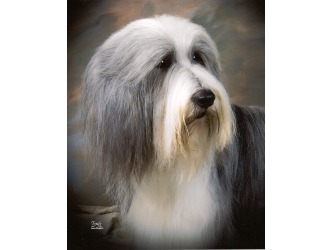 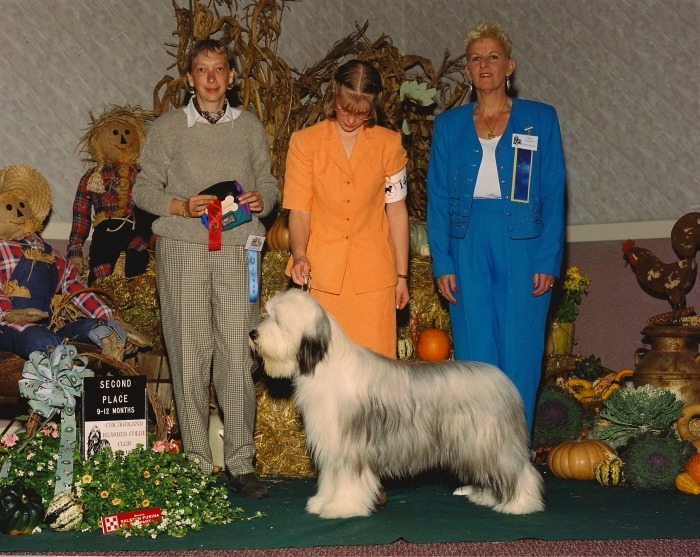 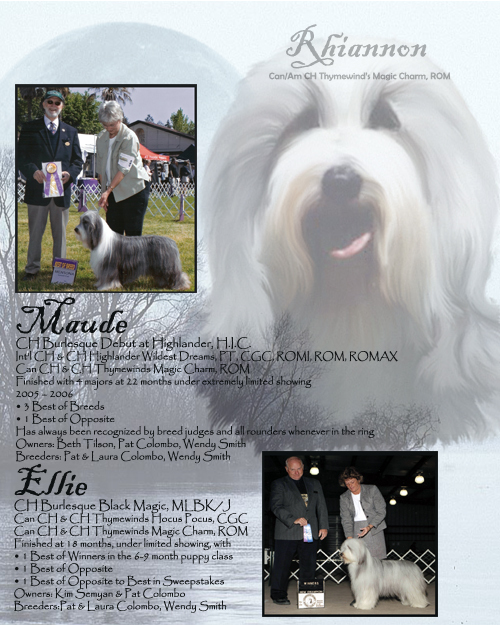 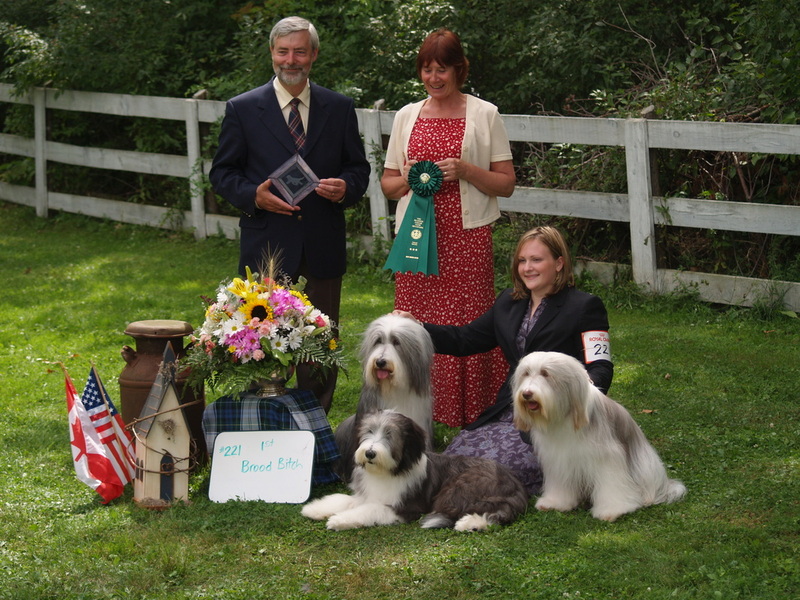 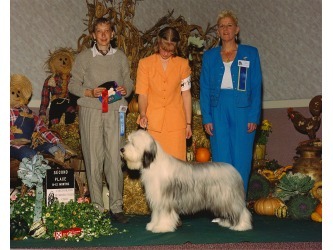 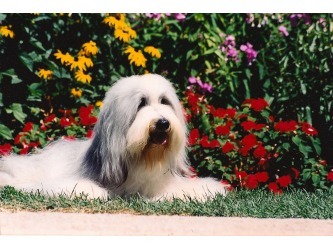 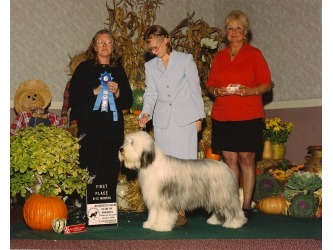 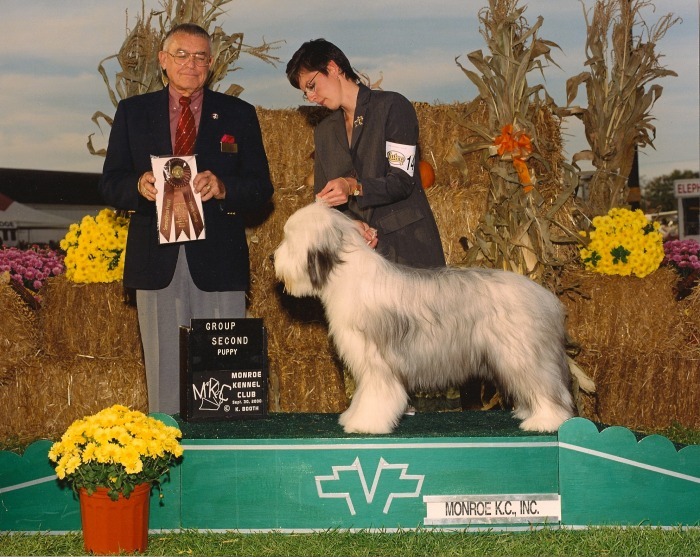 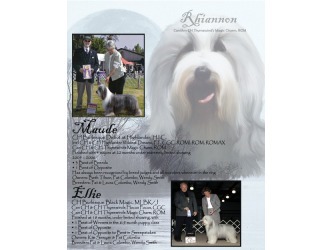 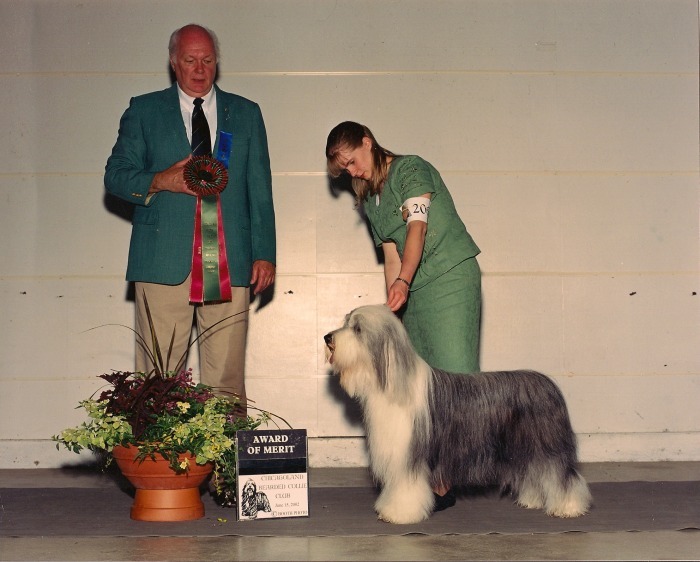 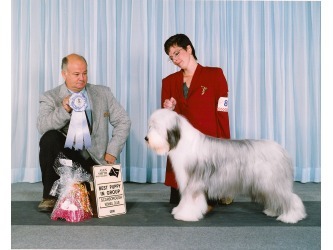 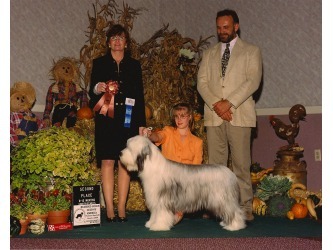 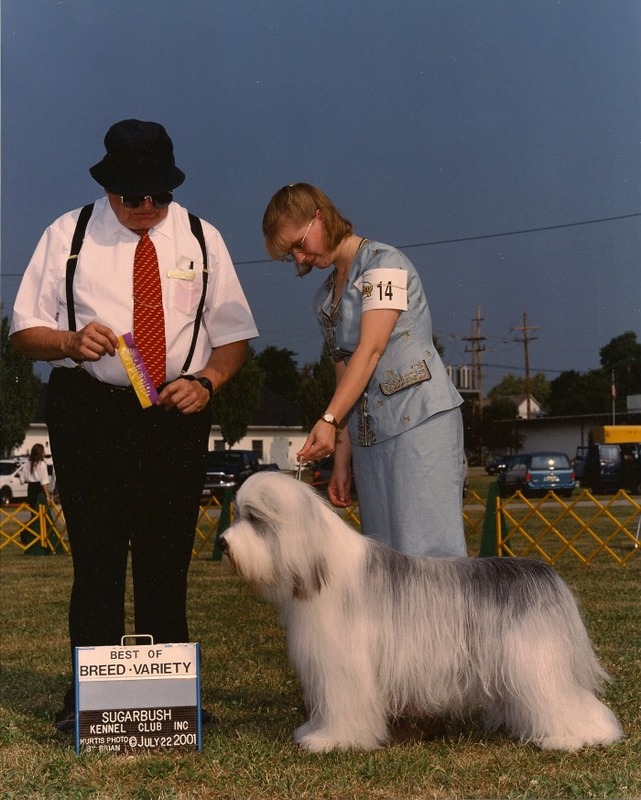 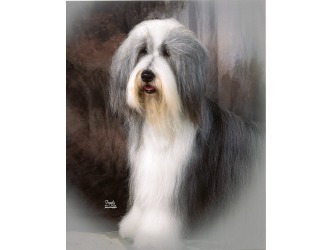 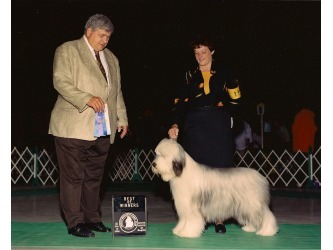 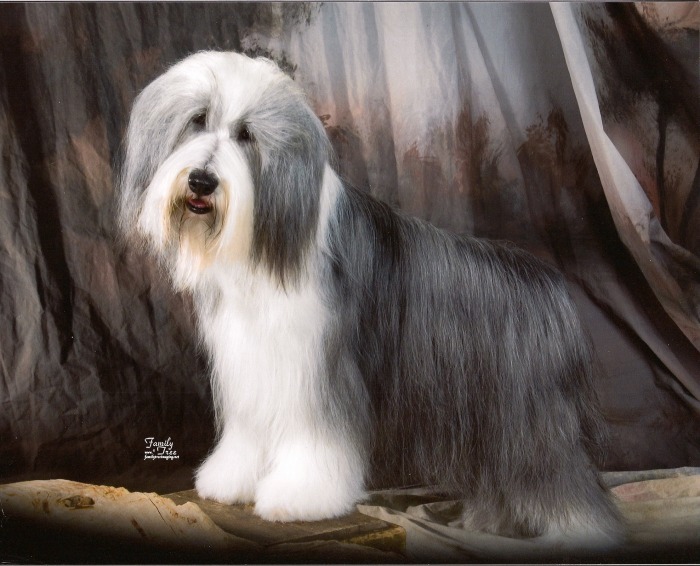 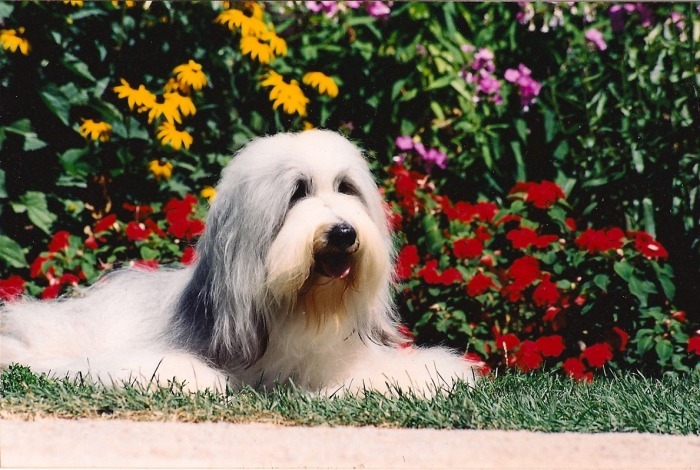 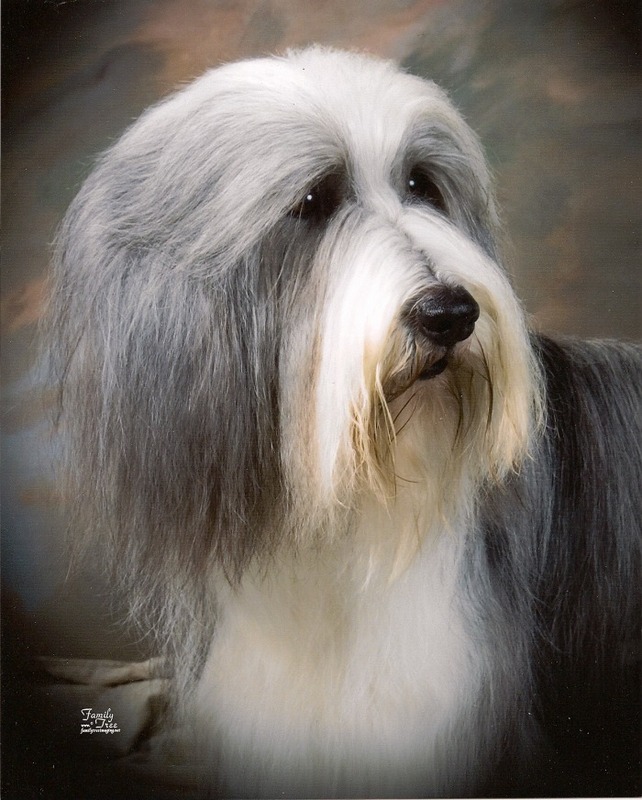 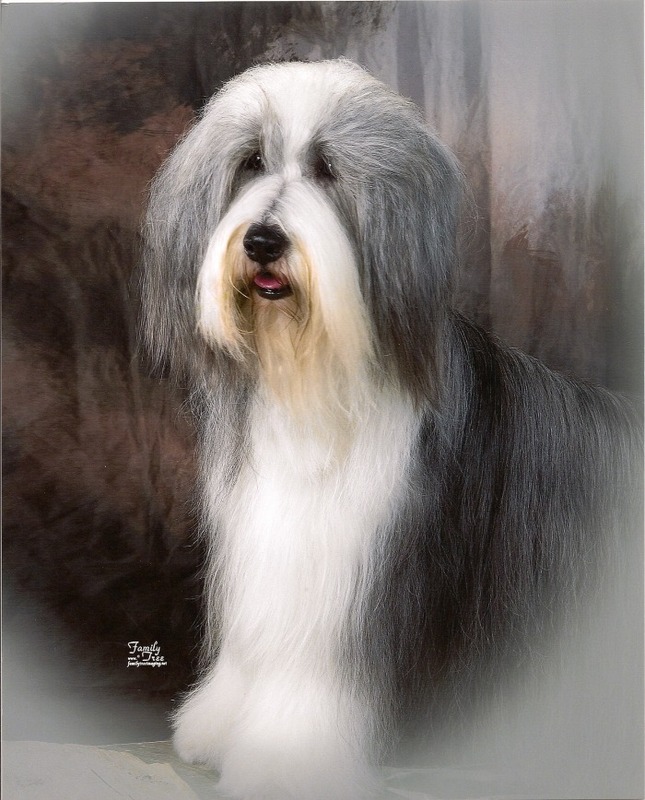 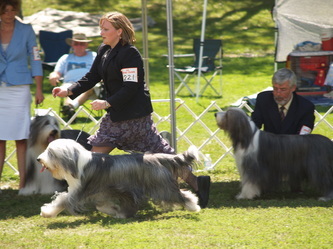 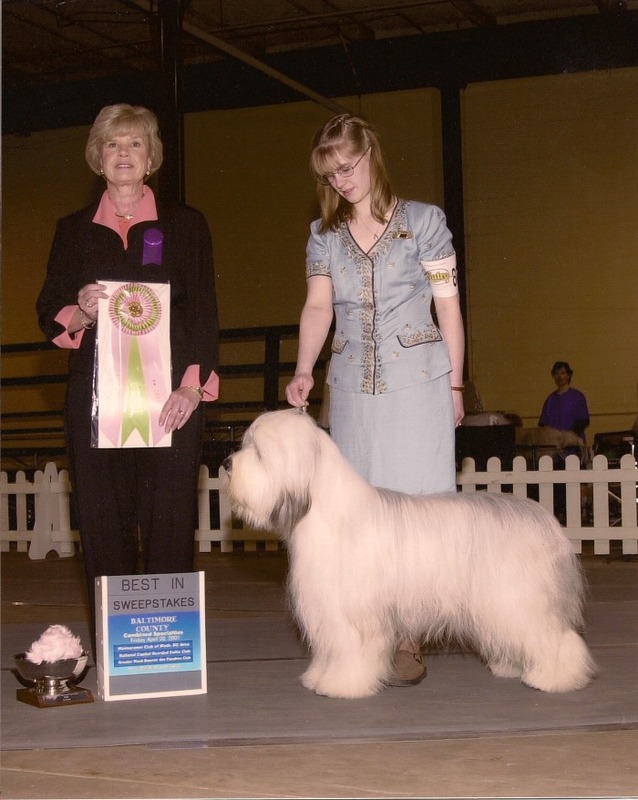 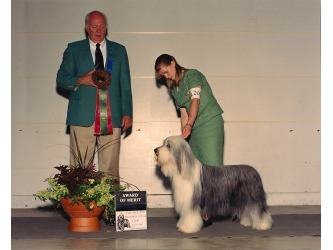 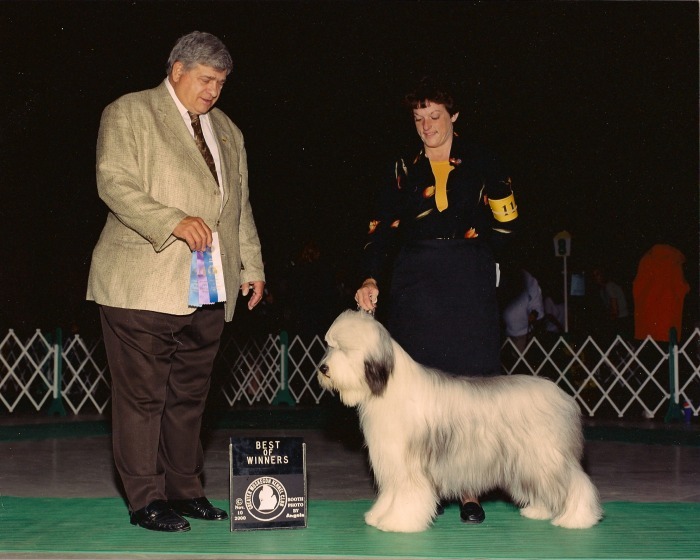 She had numerous Best Puppy in Breed and Puppy Group placements along the way. 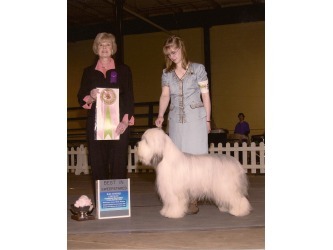 Her first show in Canada as a special she took Breed and a Group 4. 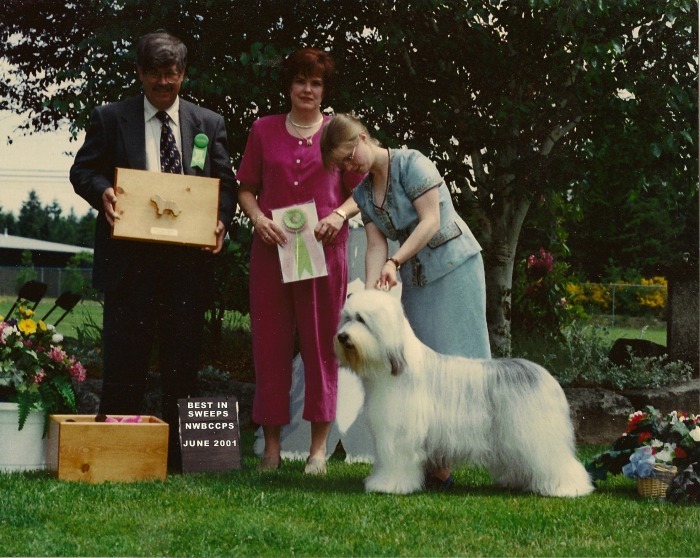 She also received the #1 Select from well-respected British Breeder-Judge Anne Wilding at a regional specialty still under 19 months old. 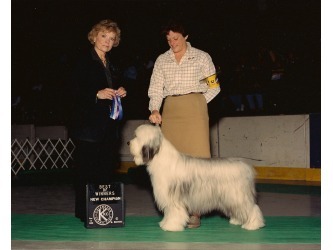 Her show career has been limited as an adult – anyone who sees her in the ring knows she can be a bit of a handful! 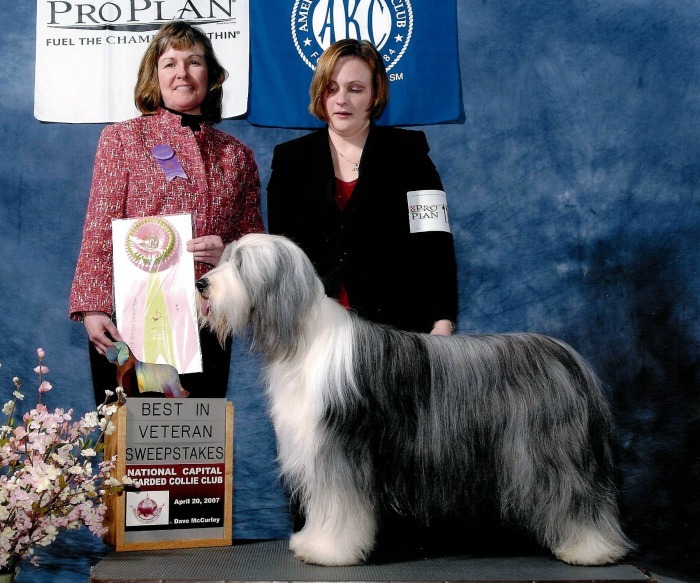 We keep hoping she will settle down for a Veteran’s career. 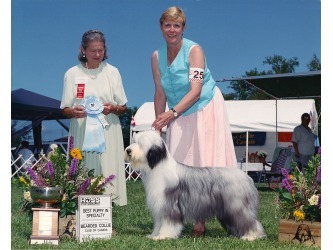 Along the way, though she has been awarded numerous Awards of Merit and group placements. 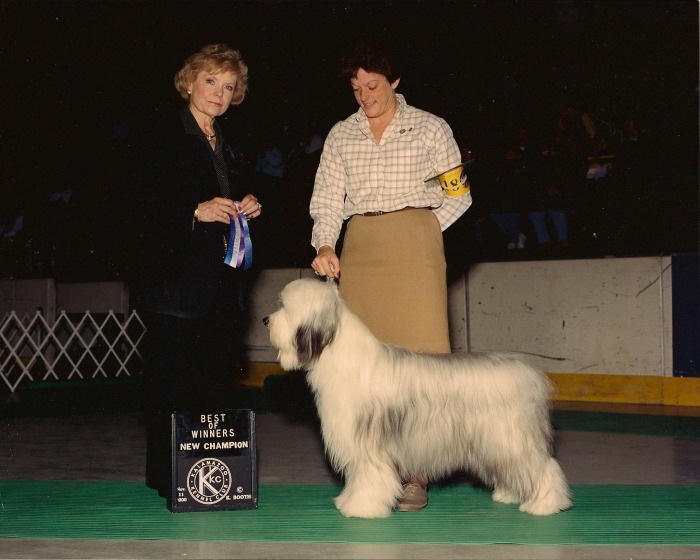 Judges have consistently commented on her strong breed type, great head and foreface, dark eye and pigment, absolutely correct length to height ratio - coming from her ribcage as it should, well constructed shoulders and balanced angles in the rear and lovely - free-flowing gait. 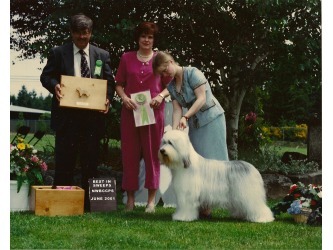 Perhaps her greatest success has been in the whelping box, though. 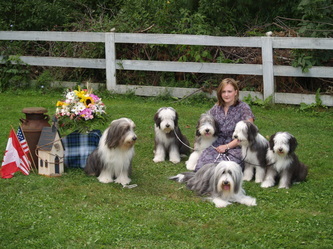 She is an awesome mom and has graced us with large healthy litters of beautiful pups.